Crazy in love and want to express it!? Go all in with this super romantic dinner setup in a paris themed restaurant. 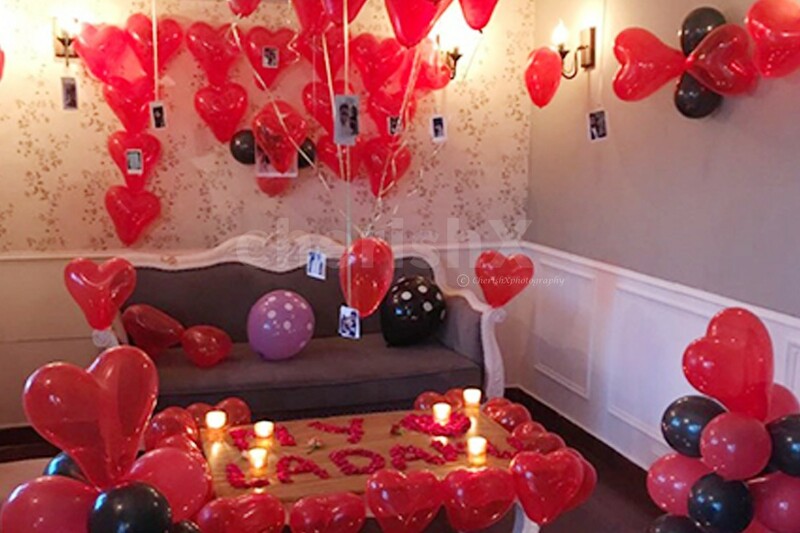 What could represent love more than the color RED, Flowers, Scented candles and red heart shaped balloons? . 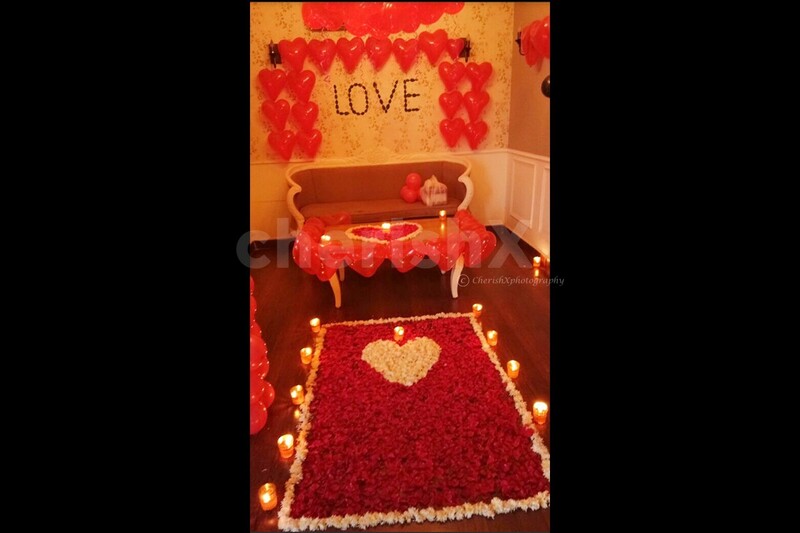 It’s a surefire way to create an ambiance that your partner will absolutely fall for. Enjoy a 3 course romantic dinner while you slowly forget the world. 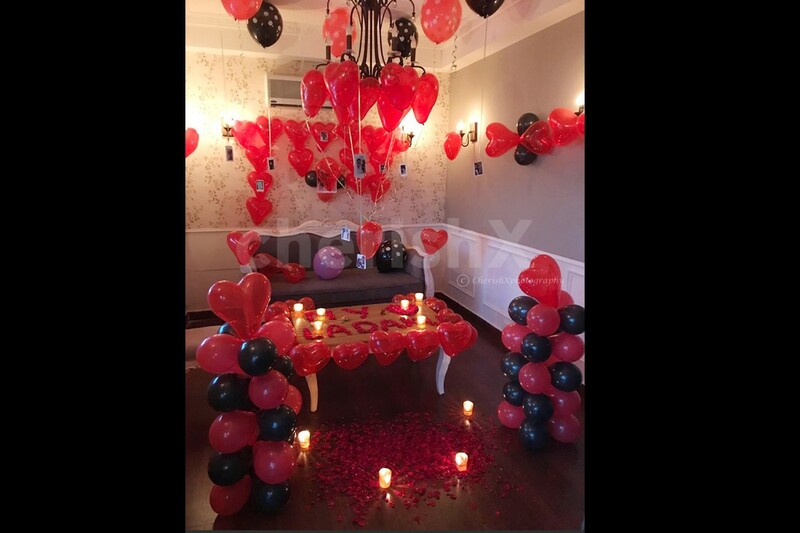 What makes this meal even more stunning from the get-go is that the path to it is lined with the essence of love- red rose petals and candles. The special food crafted by our chef is known for its love-sparking qualities! Dinner here has a naturally dreamy feel and would leave your taste buds craving for more! 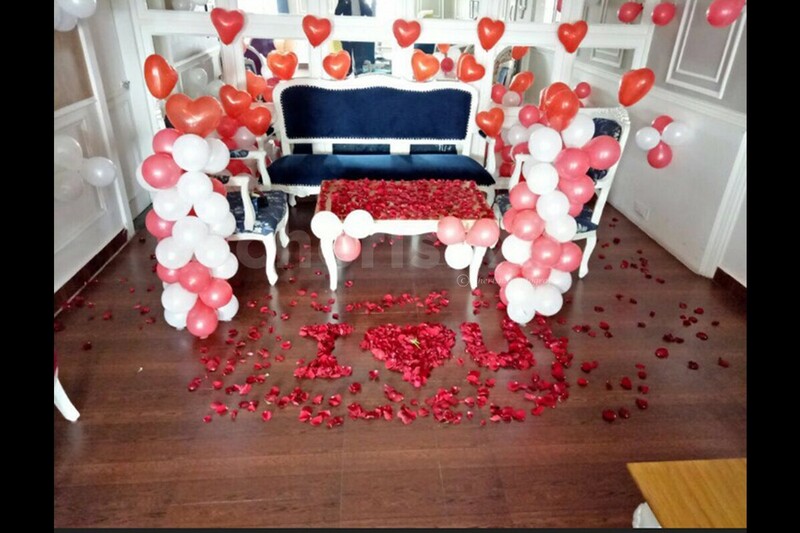 Celebrate some blissful moments with your beau in the quaint solitude of dim lighting, romantic music and sky of heart shaped balloons. Your venue is specially dressed up for you to have a quintessential experience. The restaurant is conveniently situated in Vijay nagar near country inn.